We are excited to welcome Dr James Haldeman to Clintonville Dental Group. Dr. Haldeman graduated from The Ohio State University with a degree in Biology prior to his DDS degree from The OSU, College of Dentistry. He then attended The Medical College of Toledo where he completed a General Dentistry Residency. The residency program provided Dr. Haldeman with advanced education and training in all aspects of Restorative Dentistry, with an emphasis on aesthetics and function. Dr. Haldeman entered private practice in the Clintonville area of Columbus before moving to north Worthington in 1991. He is excited to be returning home to where he started practice. 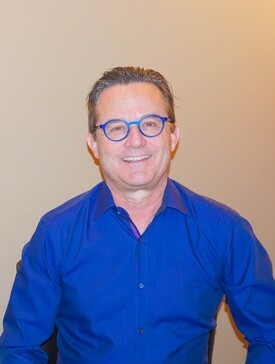 Dr. Haldeman is a life-long learner and challenges himself to frequently enroll in courses that teach the latest techniques, procedures, and technologies in dentistry. Dr. Haldeman’s latest addition to his skills is the diagnosis and treatment of Obstructive Sleep Apnea. As an experienced family dentist, Dr. Haldeman enjoys treating patients of all ages. He consults with each patient concerning the patient’s long-term dental health goals. This is vital to designing a dental treatment plan to help them achieve their goals. The type of dental treatment that is provided today will impact the quality of oral and general health for a lifetime. Dr. Haldeman is a member of the Academy of Sleep Medicine, the American Dental Association, the Ohio Dental Association, and the Columbus Dental Society. He is a founding member of the Central Ohio Study Club. In his free time, Dr. Haldeman enjoys family time with his adult sons and granddaughter, volunteers in his community, and enjoys playing golf.